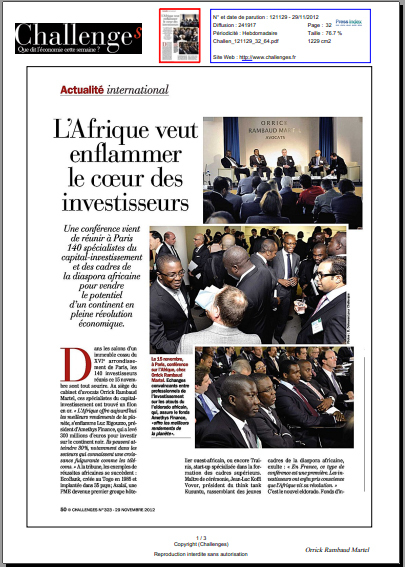 Africa is at it tipping point. 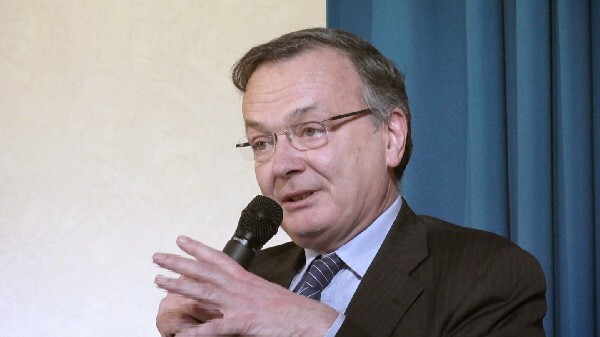 This situation reminds conditions that prevail in Europe and in the UK during the edge of the industrial revolution in the 18th and 19th centuries. 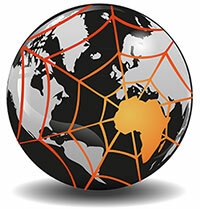 As of changes experience within the last 30 years in Asia, it is expected that Africa will experience similar mutations for the next 20 years. 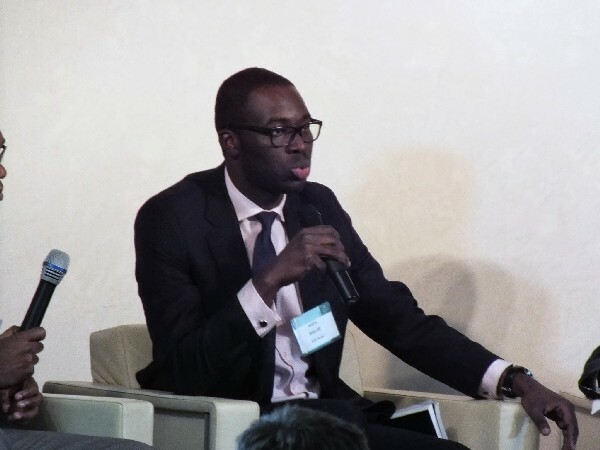 With more than 400 000 private companies looking for cash to satisfy needs of the growing middle-class that is already estimated to 300 million people, Africa could create about 100 millions of new jobs during the next two decades. 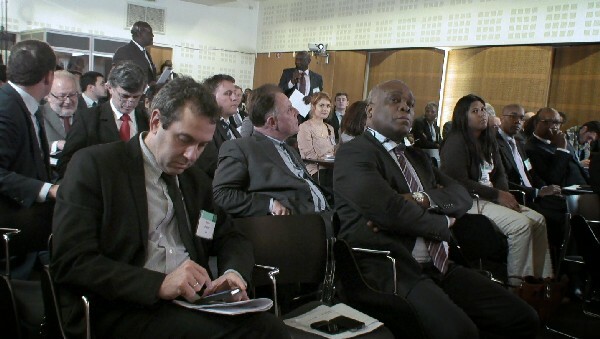 For the past 5 years, and under the media light of soccer World Cup successfully organized and run by South Africa, impressive reports issued by notorious firms such as IFC, McKinsey, Ernst and Young, BCG or KPMG came to reinforce the sustainable economic growth facts that is favored by a general amelioration of public finance, governance, ease of doing business, a more specifically, a population of youth more educated, better informed who want to action all the levers necessary to the realization of their African dreams. 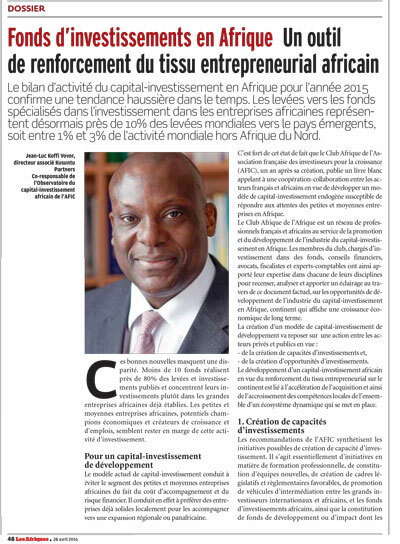 The African Private Equity in that context appears as an essential vector to the achievement of such a vision. 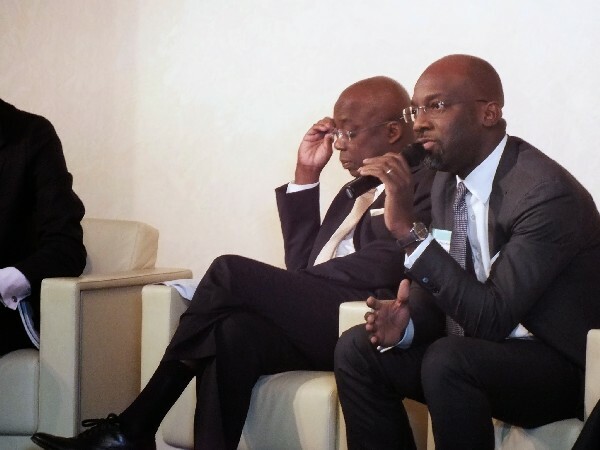 With more than 200 teams managing above USD 20 bn through funds of size between USD 50 m and USD 1000 m, the African Private Equity is one of the revelations of the early 21st century. 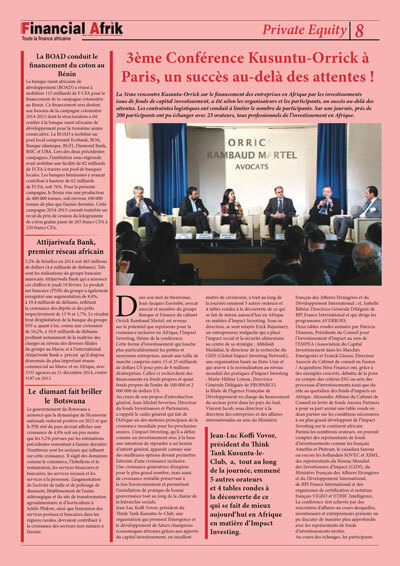 If the asset class is been talked about and being invested from the US, the UK, the Netherlands or the Nordics, it is quasi unknown in France. 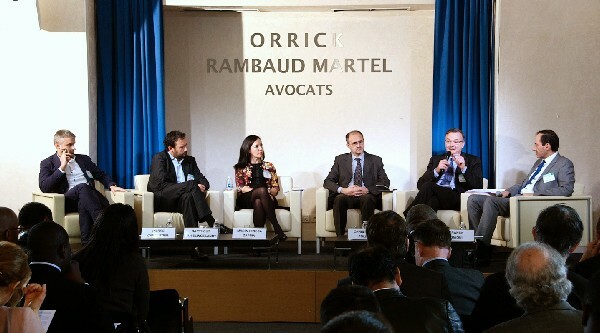 Pierre-Yves Denez, resident in Orrick's Paris office, is a member of the Banking & Finance and Private Equity Groups. 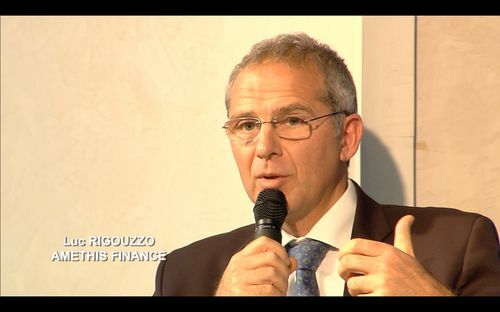 He has extensive experience in financial laws and regulations, financial market regulations and asset management. 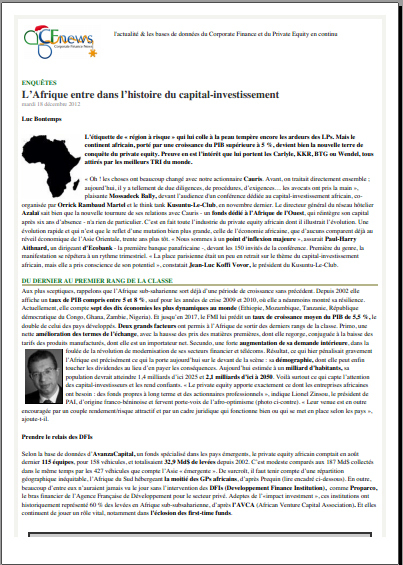 His practice involves advising and assisting French and international clients, with a particular focus on Sub-Saharan Africa, in relation to (i) the setting-up of funds and funds of funds for general partners in France and abroad, in private equity and real estate sectors, (ii) assisting funds in their investment and divestments transactions, (iii) assisting general partners in the negotiation of investment management agreements, advisory agreements and outsourcing agreements, (iv) liaising with regulatory authorities and ((v) assisting general partners and/or limited partners for any litigations. 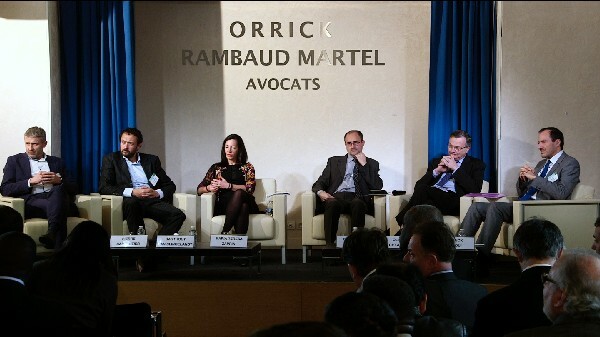 Before joining Orrick, Mr. Denez was an associate with Freshfields Bruckhaus Deringer. 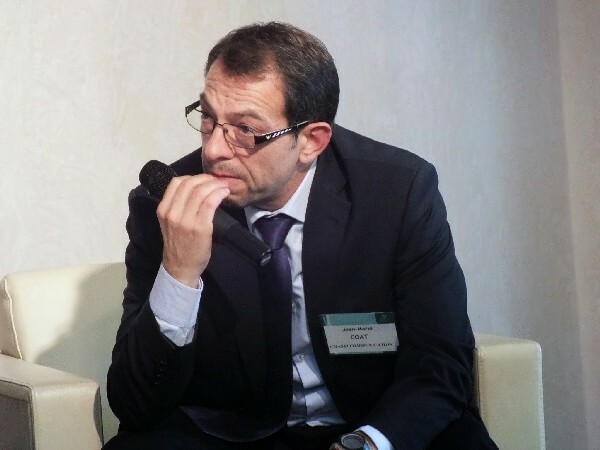 After a first operational experience, Franck S. GIAOUI worked eleven years with two major strategic consulting firms in Paris, London, Milan and Boston. 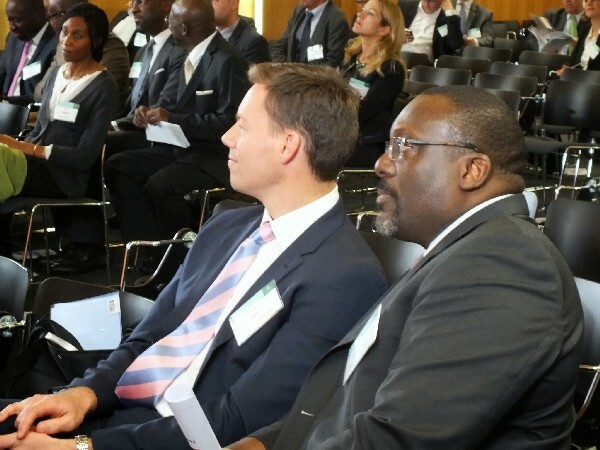 He was manager at BAIN & COMPANY, Vice-President at MERCER MANAGEMENT CONSULTING and Business Development Manager at KINGFISHER PLC. 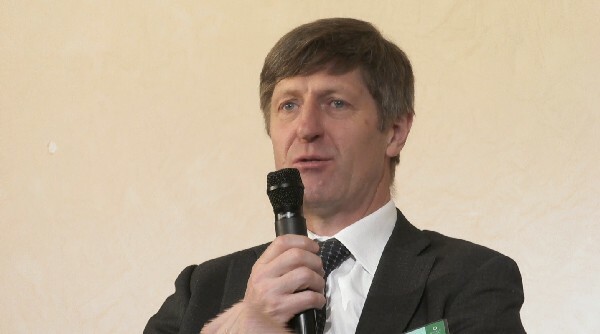 He specialised in cross-border mergers and acquisitions, marketing and distribution strategies and the automotive and technological industries. 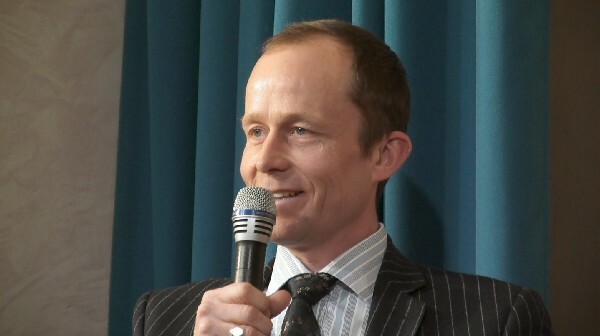 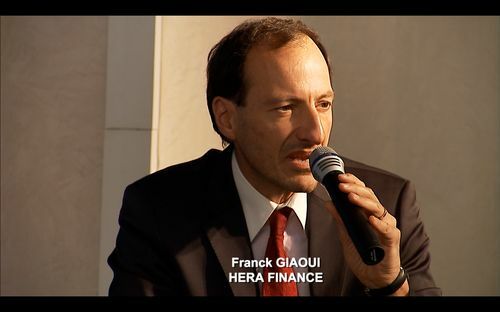 He founded HERA FINANCE, an independent corporate advisory “boutique”, at the end of 1996. 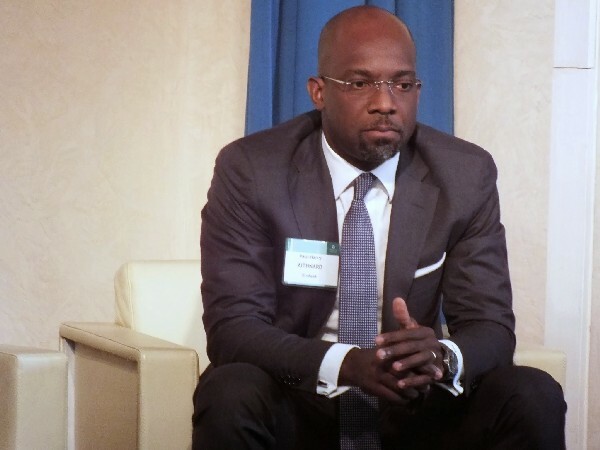 Since then, he has been originating and managing financial engineering deals including mergers & acquisitions, disposals & divestitures, LBO-MBO, private placements, transition management and board membership. 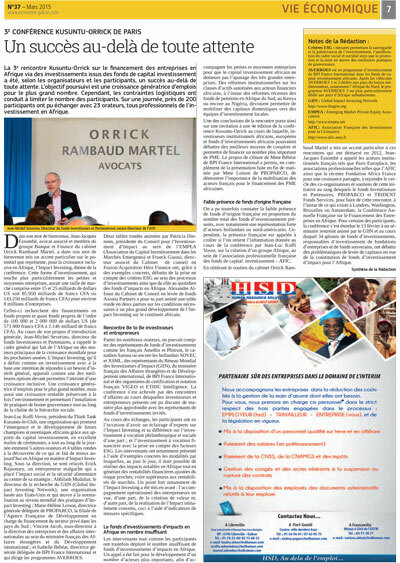 Franck S. GIAOUI advises clients in different industries in Europe, Africa and the USA. 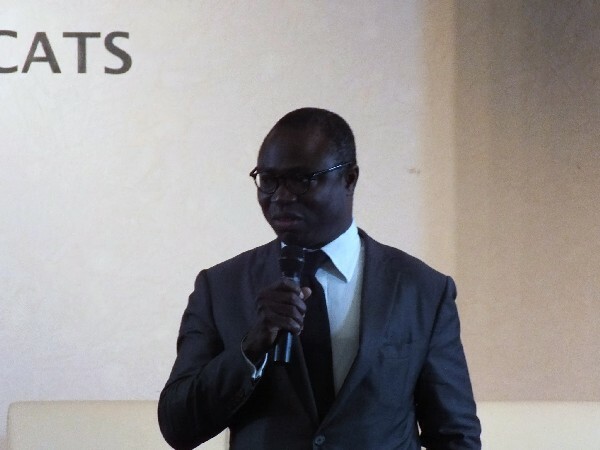 He specialises in transactions between family owned companies and major corporations or private equity funds. 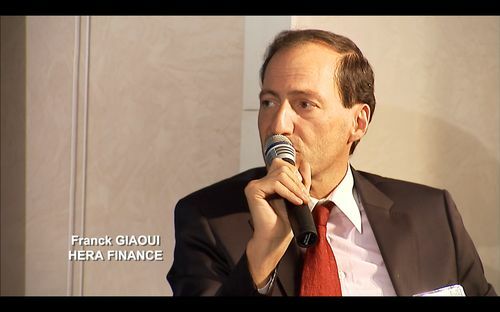 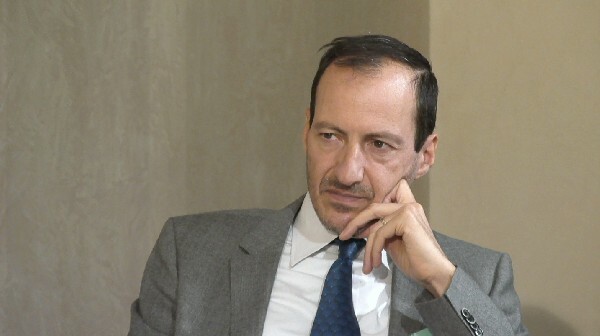 He is also a co-founder of the private equity fund APOLLO INVEST and a visiting professor in corporate finance at ESSEC MBA, the school from which he graduated. 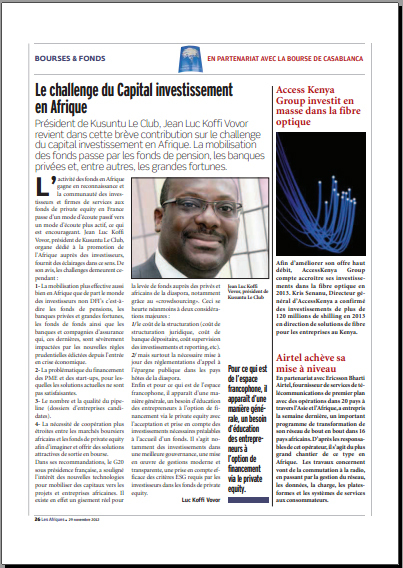 Jean-Luc Koffi Vovor is the founder of the Kusuntu Project, a partnership of business leaders and executives which ambitions to promote, act and support the emergence and the development of African Economic Champion thanks to the accretion of private capital worldwide. 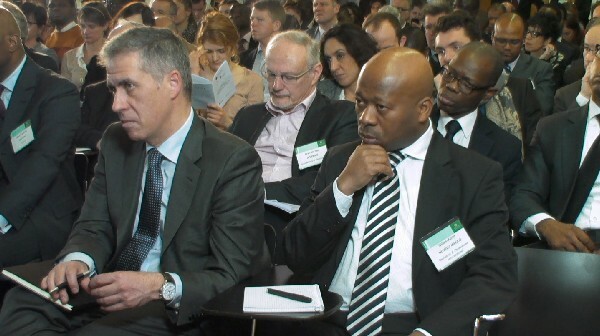 He chairs Kusuntu-le-Club, a Think Tank next to that project. 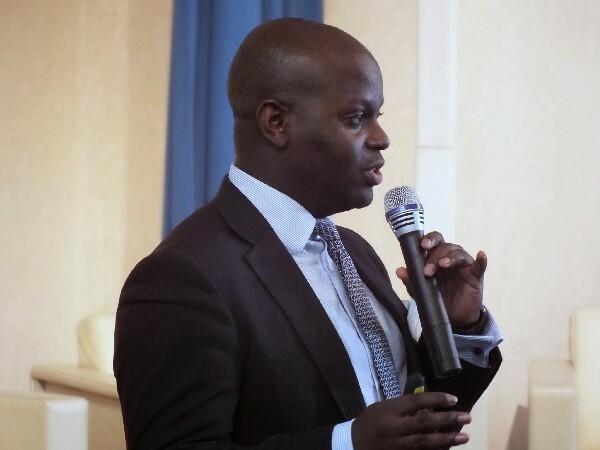 Under his leadership, the group has initiated several initiatives, part of which, Kusuntu Partners, an information and advisory service and match making platform on Africa Private Equity. 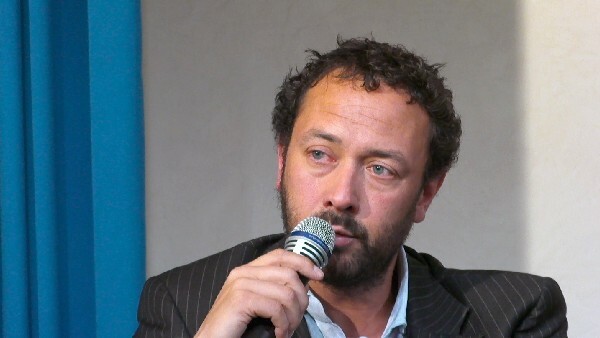 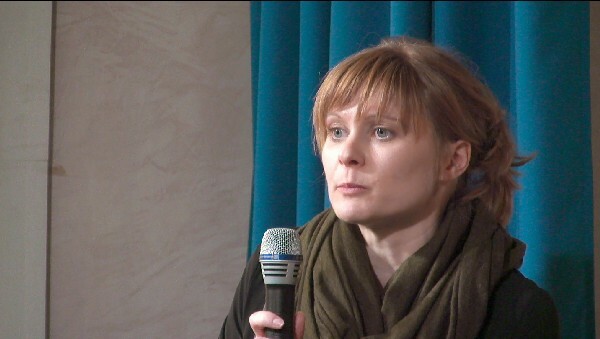 Jean-Marie COAT is a journalist and founder of Chaski Communication, an agency that specializes in international cultural, economic and political issues. 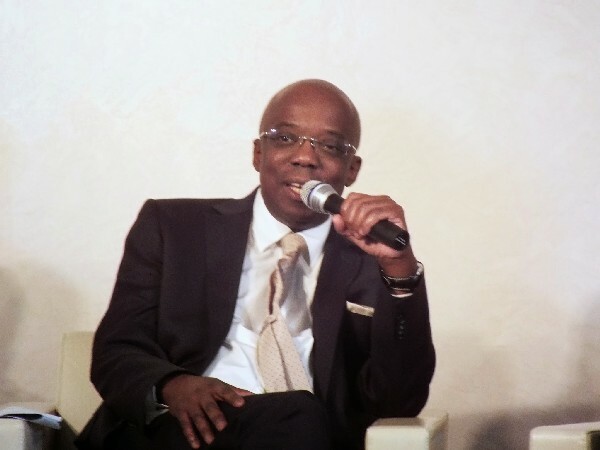 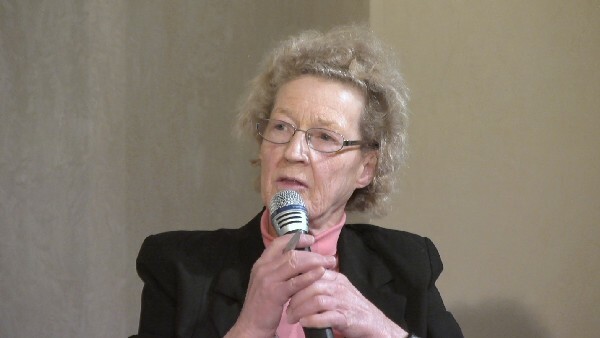 Jean-Marie had a broad network of contact within the entrepreneurial and business world. 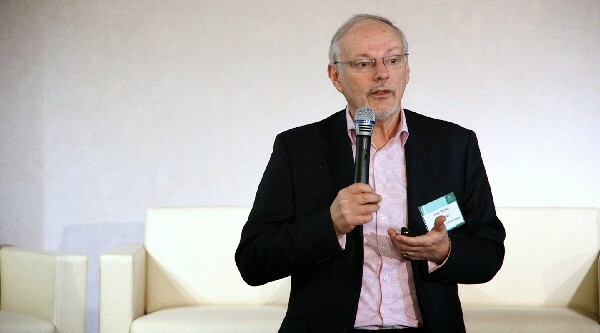 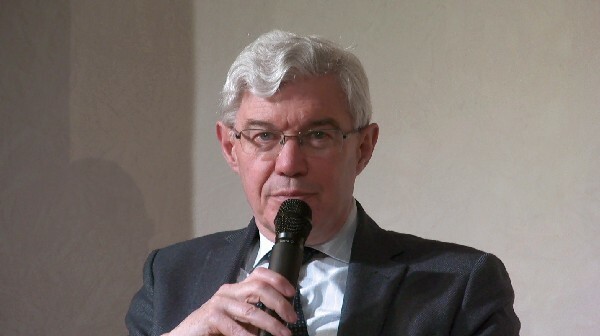 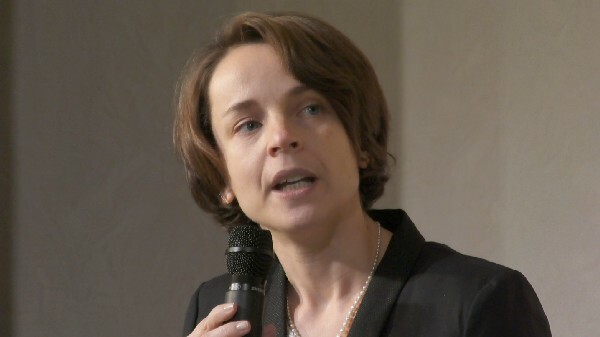 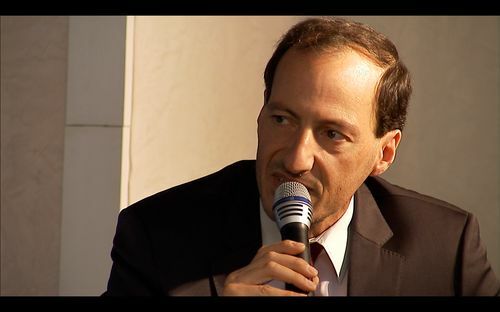 Jean-Marie teaches journalism and provides communication advisory services to a number of French and International business and political leaders. 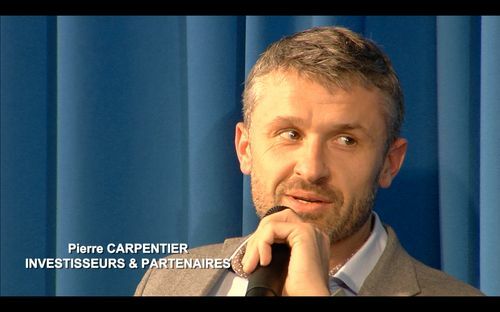 Jean-Marie is graduated from the University of Paris – Sorbonne and from the Institut des Hautes Etudes de l’Entreprise. 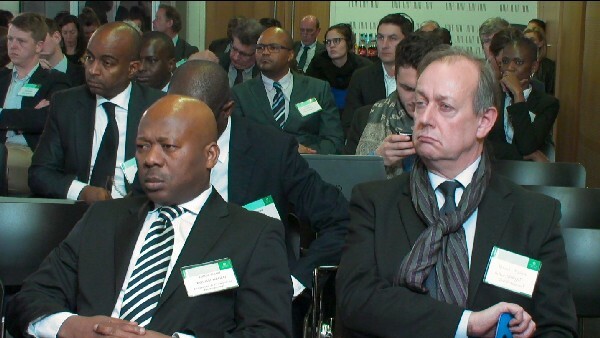 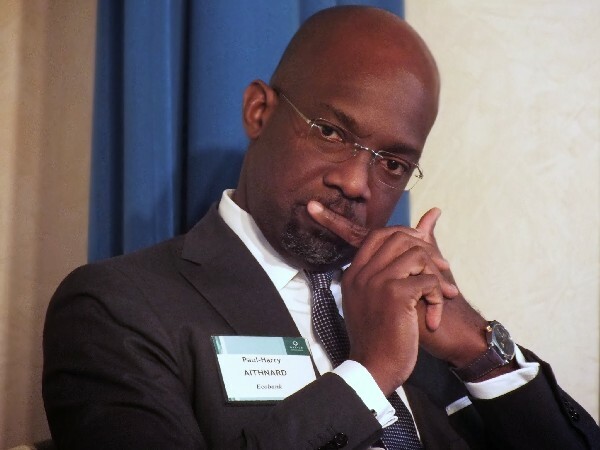 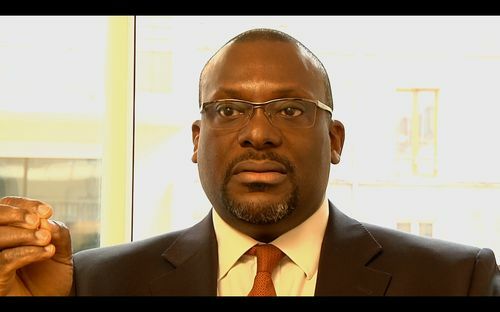 Paul-Harry has been Head of Research for the Ecobank Group since 2008. 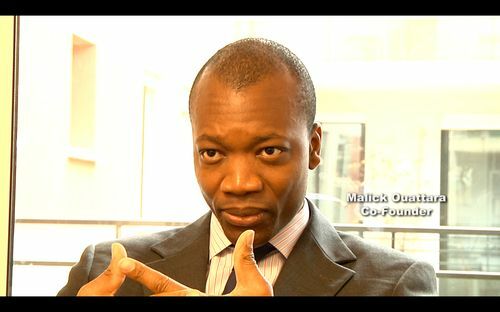 Here he oversees a sizeable team of Pan African analysts producing Economic analysis, Industry Research, Commodities Research, African currencies & bonds markets research, as well as product-specific analysis to enable institutional clients to navigate Africa’s complex marketplaces, ensuring the highest level of independence and objectivity in Ecobank’s research. 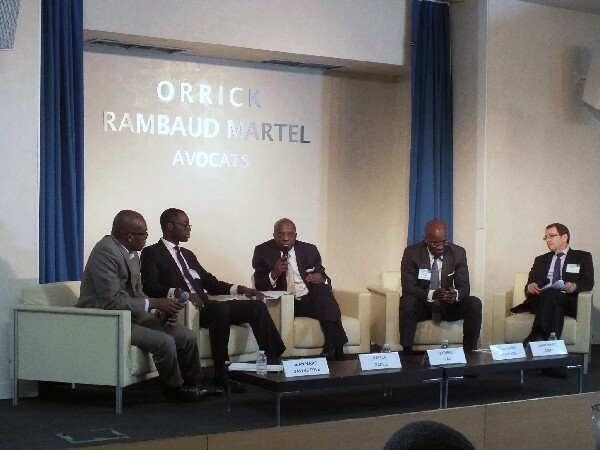 Pascal Agboyibor, a partner in Orrick’s Paris office, is a member of the Energy and Infrastructure group. 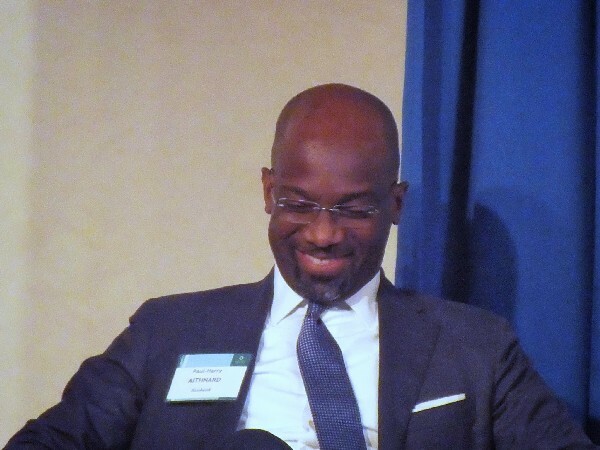 Pascal Agboyibor heads Orrick’s Africa practice, a multicultural team which includes corporate, finance and dispute resolution lawyers based in Orrick’s offices worldwide and specialized in advising on complex projects in a number of sectors including oil & gas, power, mining, agriculture and infrastructure. 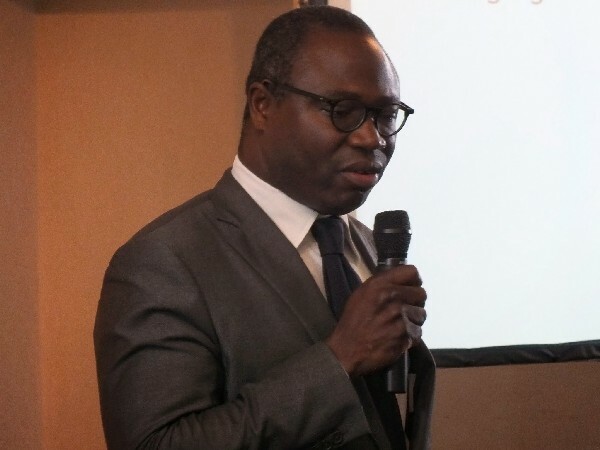 Pascal Agboyibor’s expertise covers significant project financings and M&A transactions for international and local financial institutions, commercial banks, and investors, as well as constructors, power producers and industrial suppliers, in French and English speaking African countries. 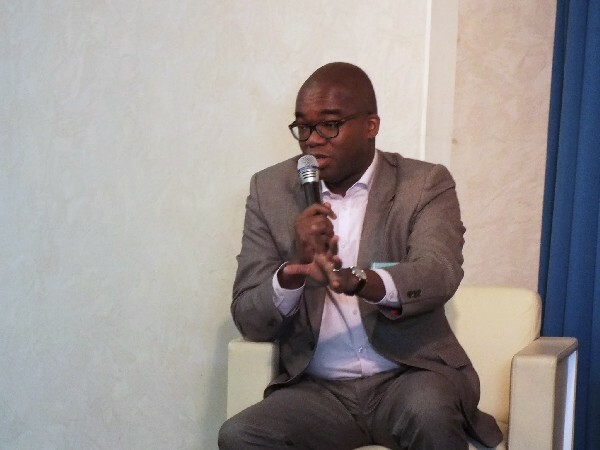 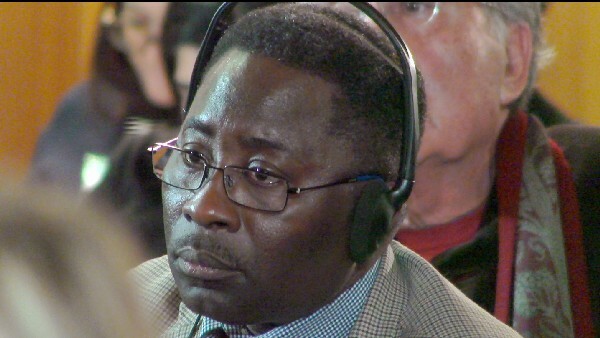 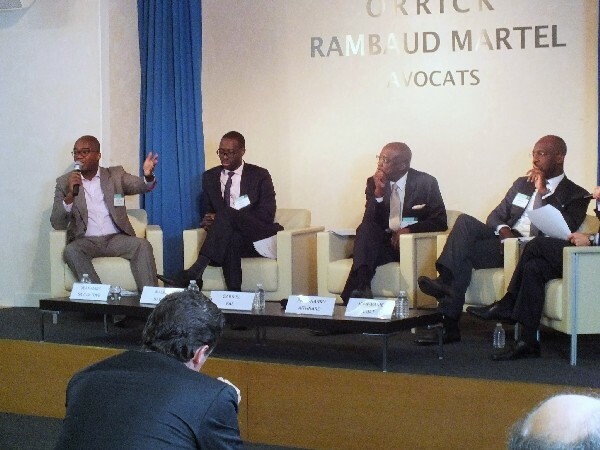 Pascal Agboyibor has an in-depth understanding of the local business markets and sociopolitical contexts, and is called on by local African authorities and multilaterals to advise on the development of policy and regulation, particularly with respect to OHADA law and financial markets. 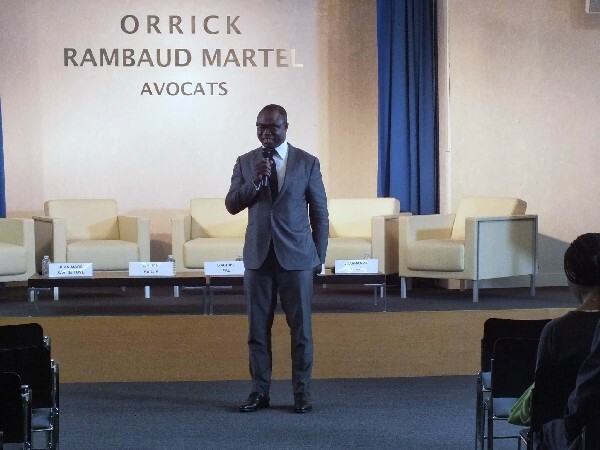 Pascal Agboyibor started his career in 1993 with Jeantet Associés, before joining Watson, Farley & Williams in 2000, whose teams integrated with the law firm Orrick, Herrington & Sutcliffe LLP in 2002. 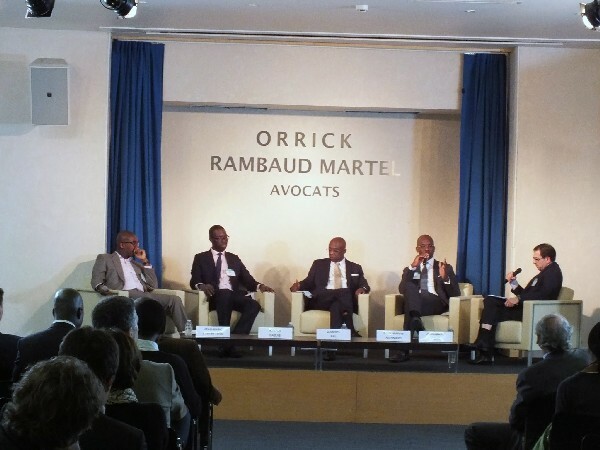 Pascal Agboyibor became a partner with Orrick in 2003. 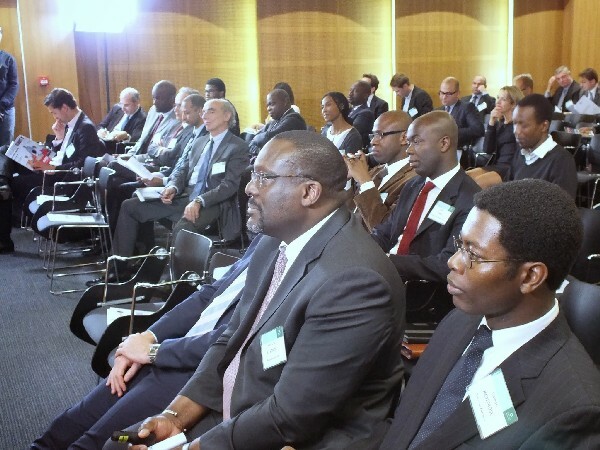 With exits on the rise and stock markets getting along with private equity managers, the year 2013 has been a remarkable year for the African Financial sector as Private Equity has continued to progress breaking boundaries. 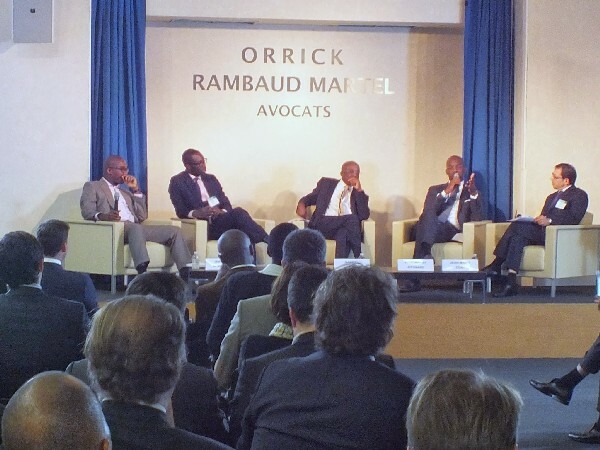 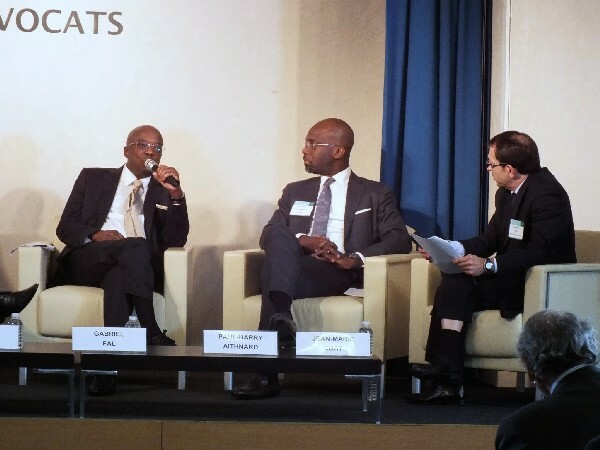 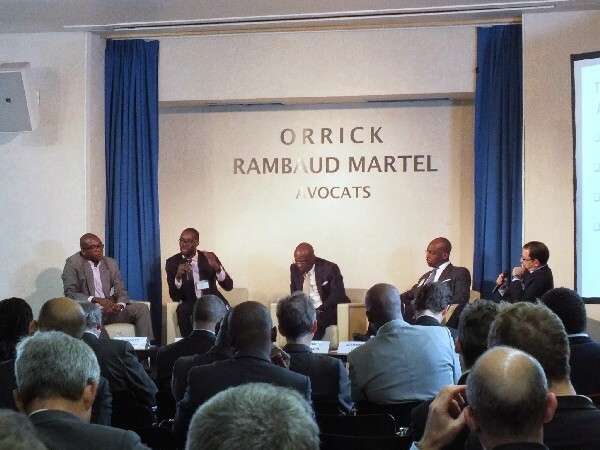 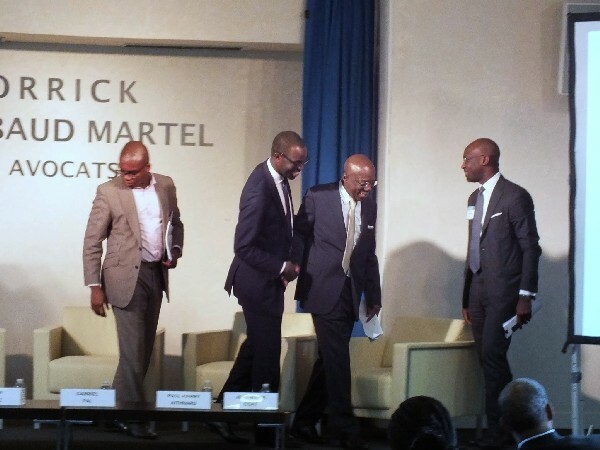 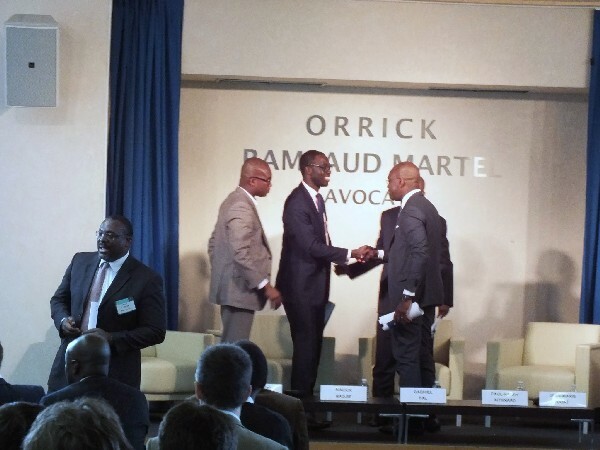 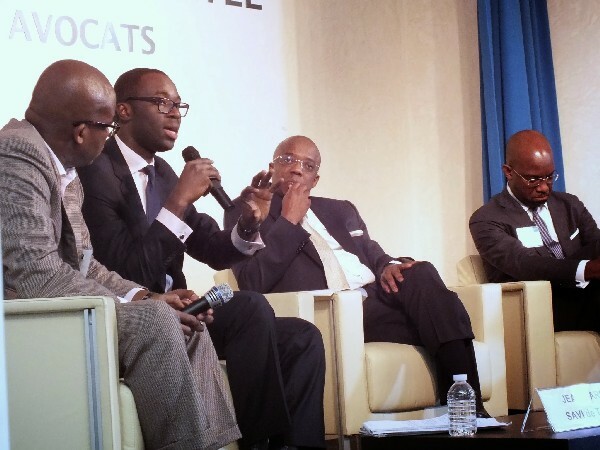 Following a successful event last year on introducing the African Private Equity Asset Class to the French investors, KUSUNTU-LE-CLUB and ORRICK RAMBAUD MARTEL invite you to their 2nd Africa Finance Conference on November 14th, 2013 on transitioning from Private Equity to Stock Markets. 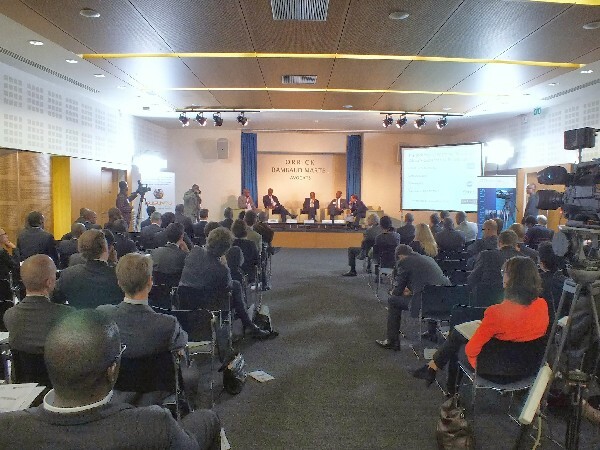 Africa is now leaving its tipping point and emerging into a transformational era, catching-up with the developed world and leveraging new technologies to create new business models that are being exported back to the old world. 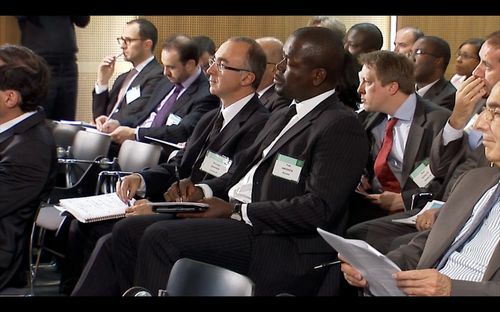 With competition now accelerating, it is now time that we move from active listening to exposure taking - the last area of economic growth. 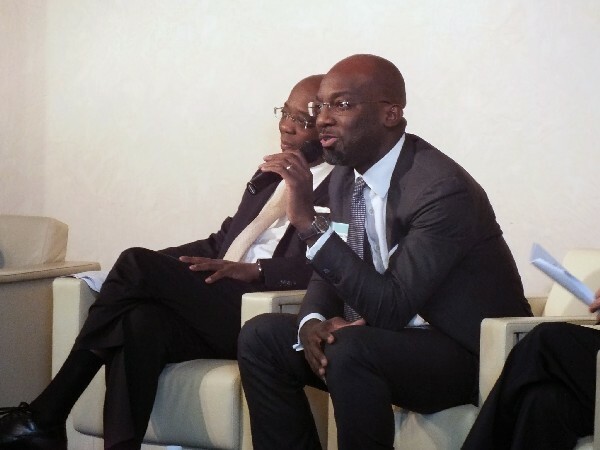 With the potential of thousands of private companies looking for cash to satisfy the needs of the growing middle-class (already estimated to be 300 million people), Africa could create about 100 millions of new jobs during the next 20 years. 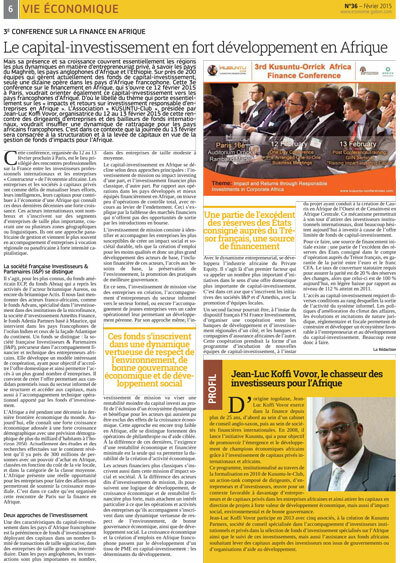 Financing ‘Corporate Africa’ in that context appears as an essential vector to the achievement of such a vision. 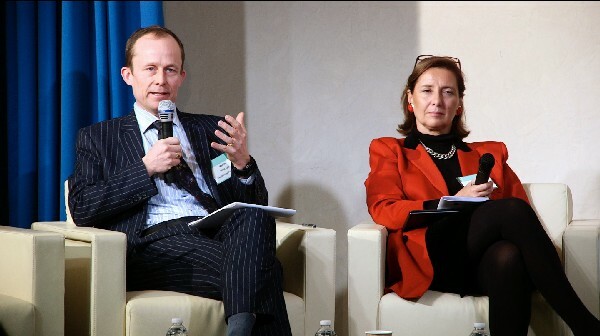 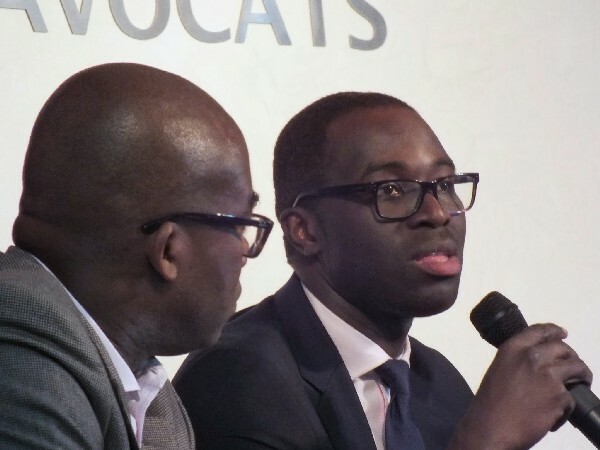 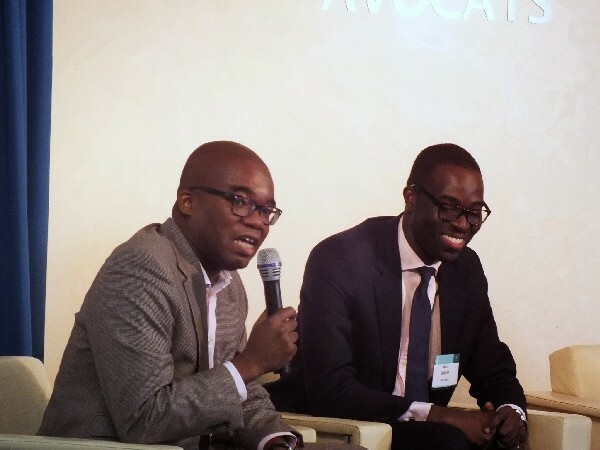 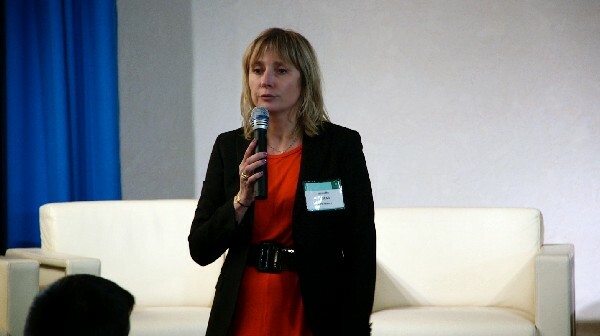 The KUSUNTU – ORRICK AFRICA FINANCE CONFERENCE has been established as a partnership between two Paris based actors to creating a link between a community of investors worldwide and a community of entrepreneurs that is developing ‘Corporate Africa’. 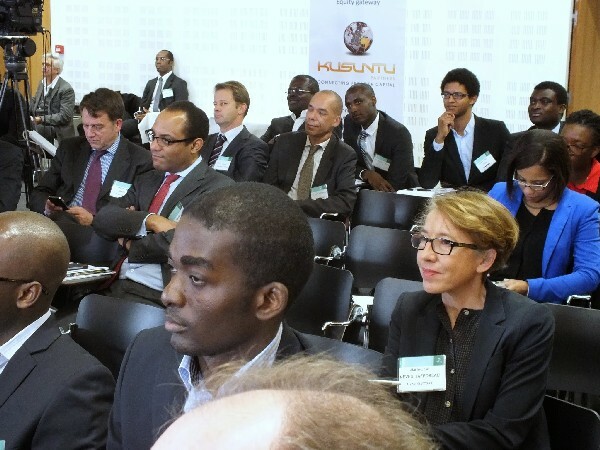 This conference is part of the promotional activities of KUSUNTU-le-CLUB particularly; get the French Institutional Investors to know about ‘Corporate Africa’ a new asset class which could enter their investment portfolio as source for geographic diversification but also as an engine for an opportunistic and higher IRR. 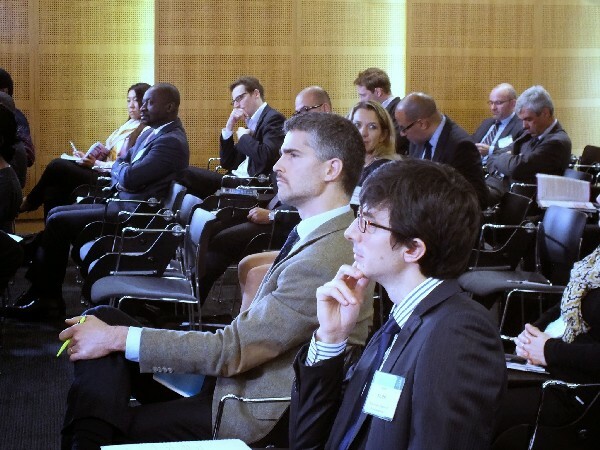 The conference is organized for people responsible for strategic and investment decisions within insurance companies, mutual funds and investment houses, family offices, private banks and larger corporations. 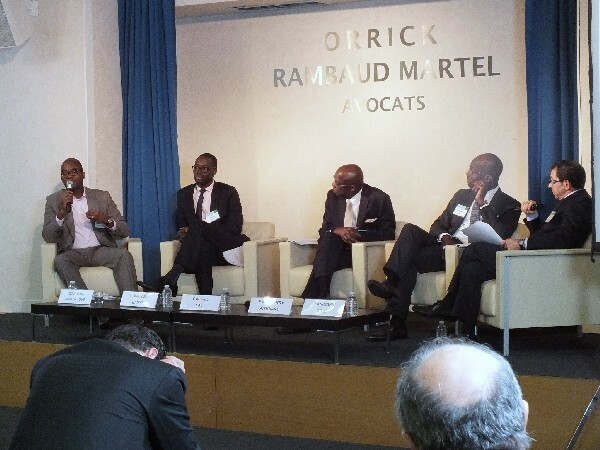 Landscape of the financing infrastructure for "Corporate Africa"
Challenges, pitfalls and successes in financing "Corporate Africa"
Panel : The challenge of financing "Corporate Africa"
Dr Kelso is currently an Associate Director in EY’s strategic market intelligence team covering private equity in the EMEIA region. 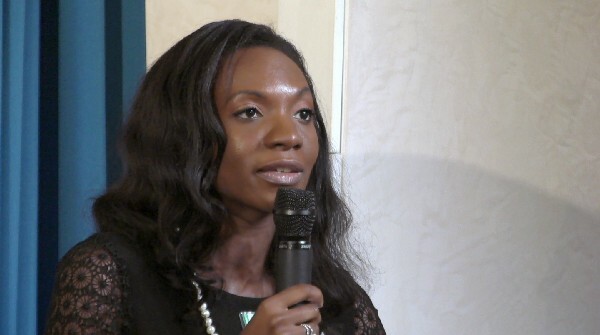 She is responsible for client-driven market insights, thought leadership and market intelligence, including most recently analysing how private equity firms create value in their investments in Africa. 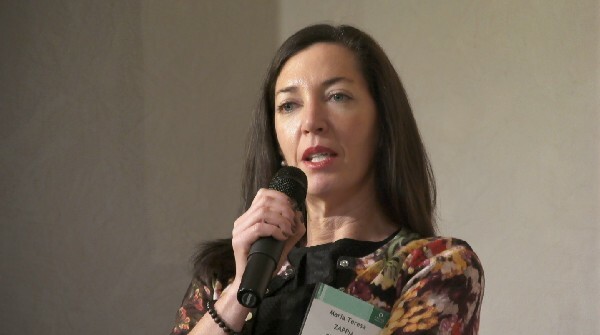 Prior to EY, Dr Kelso headed up the research team at Coller Capital, a multi-billion dollar global private equity secondaries firm, for five years and before that worked for a consulting firm advising PE clients on strategic positioning, fundraising, and deal-doing. 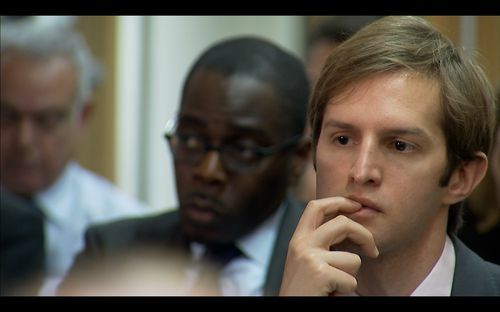 Dr Kelso has a doctorate in Economics from Warwick University. 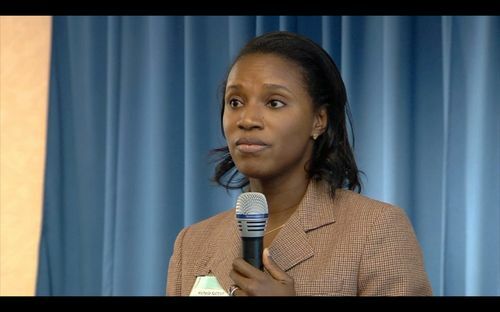 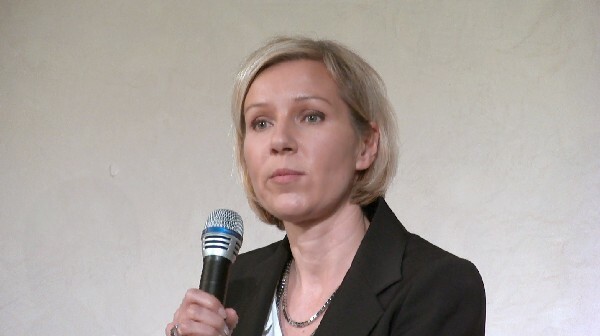 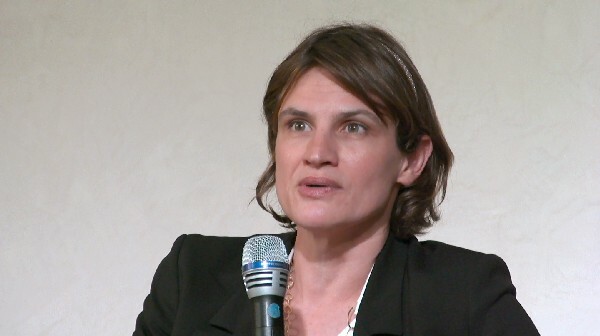 During her doctorate she worked briefly in Washington DC co-authoring an IMF working paper with IMF economists on the cross-border impact of political instability in West African countries. 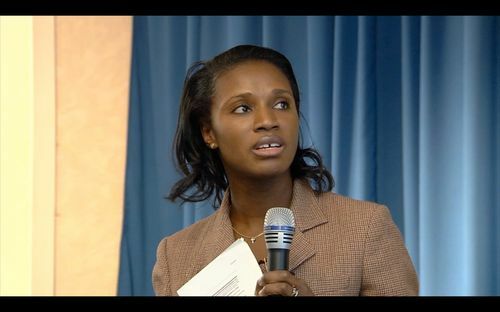 Dr Kelso was born in Ghana and lived there until she completed her O-levels. 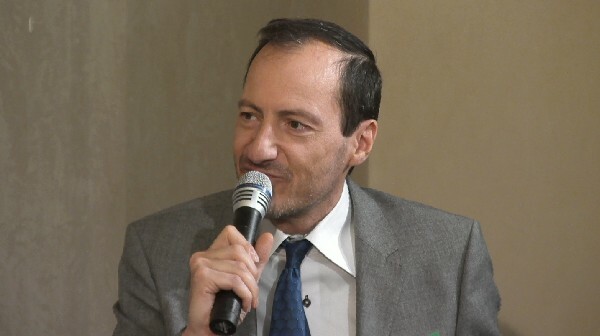 Financial engineering expert, Gabriel Fal has held numerous financial markets positions. 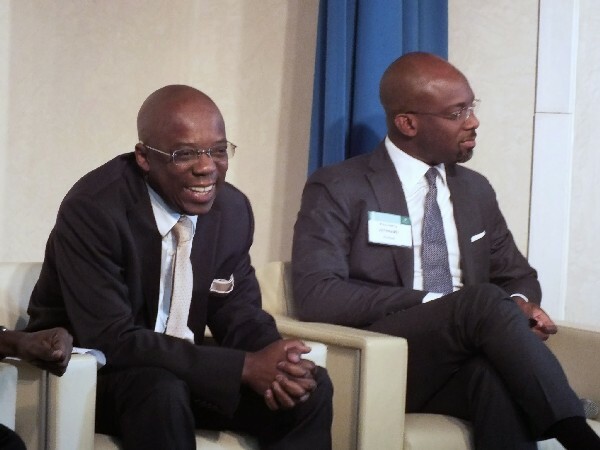 After studies spent in France and Canada, he joined the Chase Manhattan Bank in New York and became in two years its Representative Deputy for West Africa. 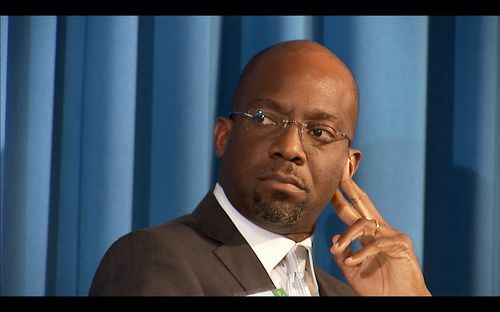 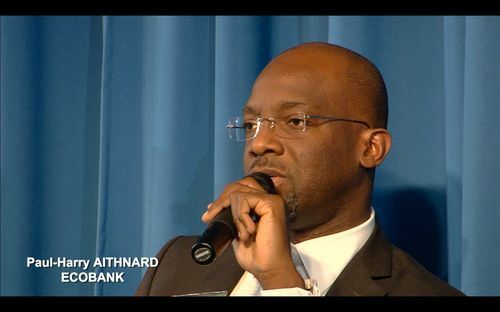 As a banker, he was responsible for the Senegal Great Public and Private Accounts, Credit Manager, Executive Vice President of Dakar Citibank and Vice President at London Citibank and Regional “Corporate” Director for Africa. 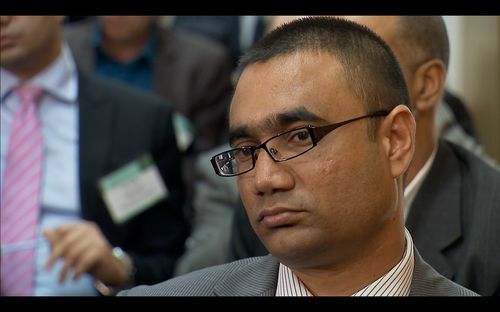 His assignments led him to work alongside governments, public institutions and large companies. 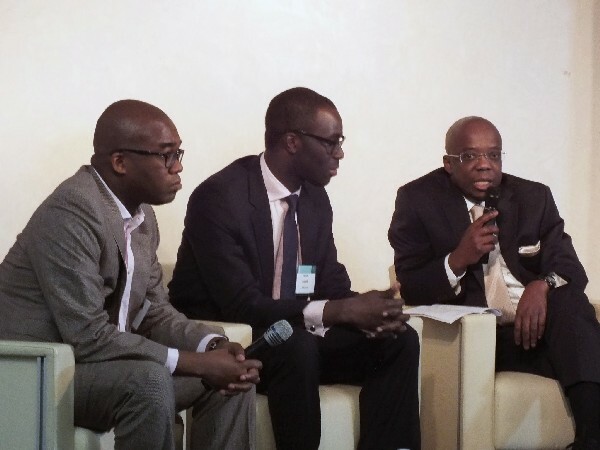 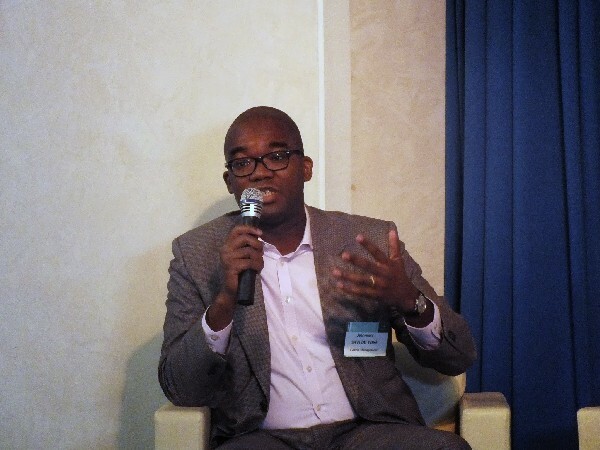 Gabriel Fal contributed to the BRVM start-up before founding in 1998 CGF Bourse, the first IMS certified in Senegal. 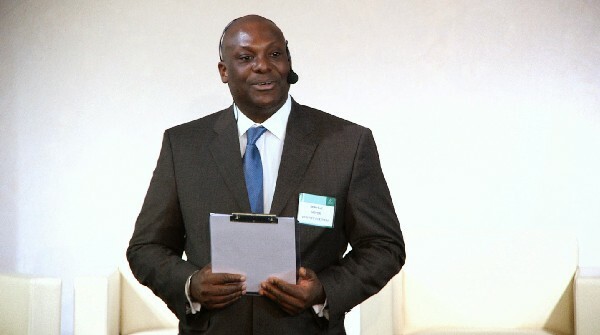 In 2011, he won the “Golden Cowrie Best Manager of the Year”, award presented by the Senegal Companies movement (MEDS). 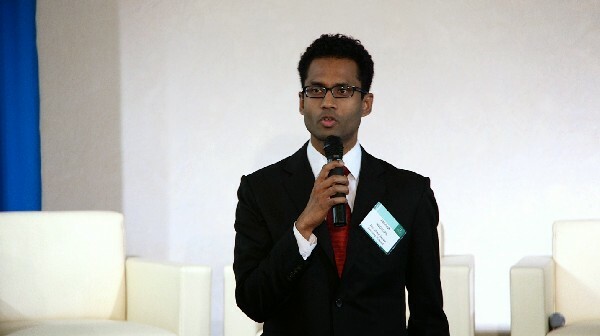 Ponmile is an Analyst at AVCA, where he is responsible for building AVCA’s research platform and data program. 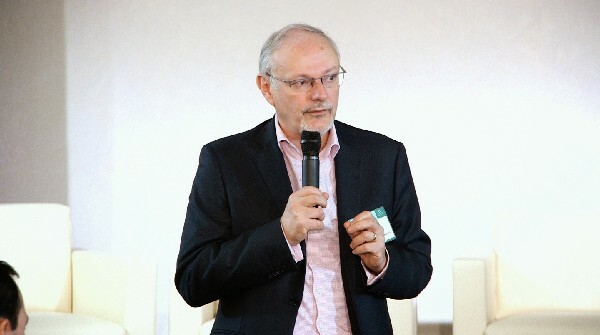 He also manages stakeholder engagement on various research projects, oversees AVCA’s technology platforms and digital communications. 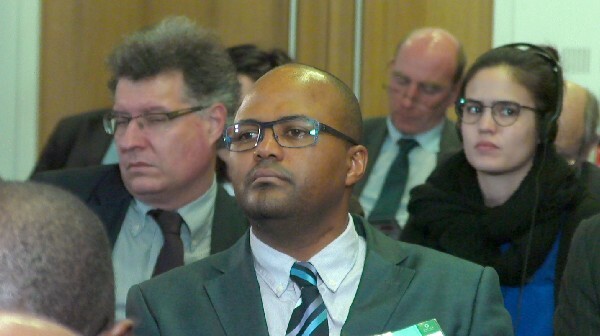 Prior to joining AVCA, Ponmile worked as a Research Associate in the Global Centre of Excellence at Kumamoto University, Japan, where he researched renewable fuel production from pulsed power application. 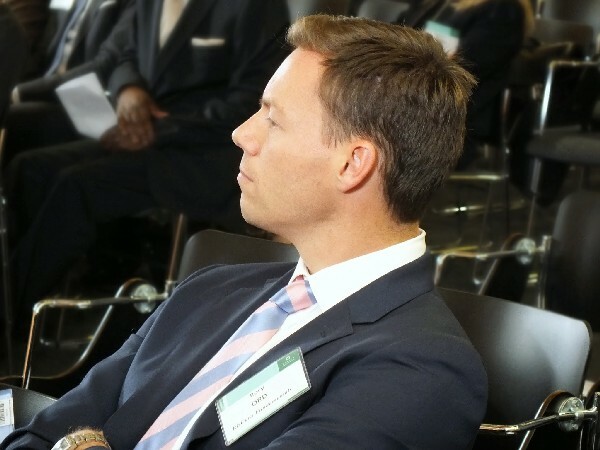 Rory heads up RisCura Fundamentals, and is one of South Africa’s leading experts in valuing African unlisted investments. 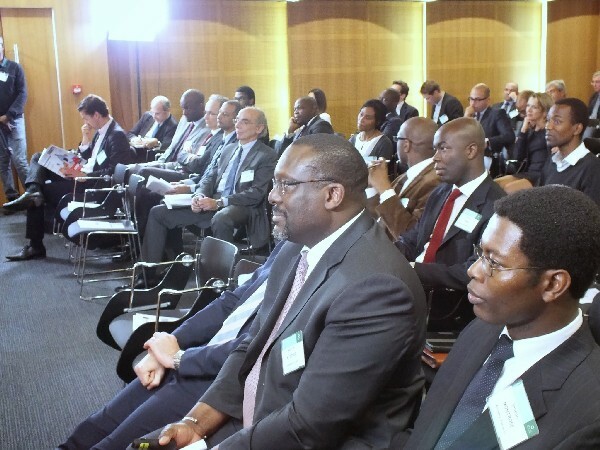 He regularly speaks on private equity valuation as well as regulation and performance measurement around Africa and Europe. 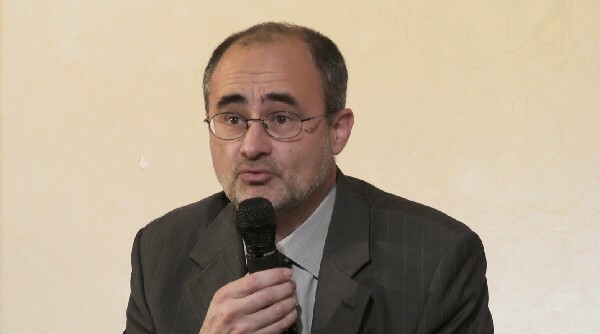 Jean-Marc Savi de Tové joined Cauris in September 2011 with experience in acquisition finance (Credit Lyonnais Americas, New York), private equity fund investments (Hamilton Lane International, Paris; CDC Group, London) and equity research (Credit Lyonnais Asset Management/Credit Agricole Asset Management, Paris). 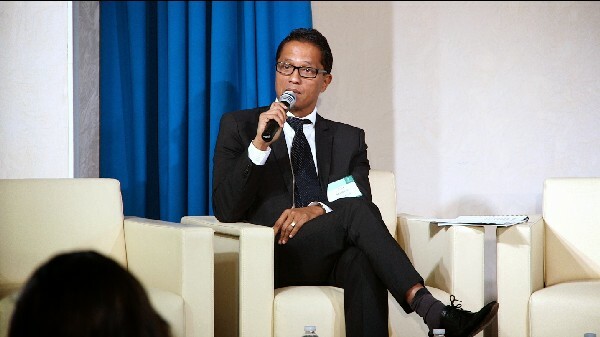 Jean-Marc was previously with CDC Group, the UK government owned development finance institution where he was Portfolio Director Africa. 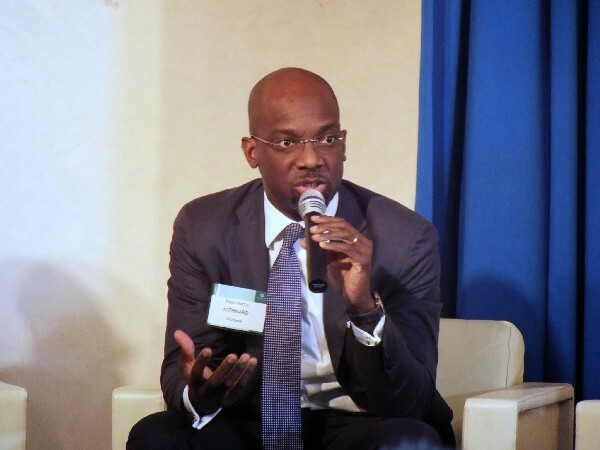 At CDC, he led on over $ 600m of commitments to African private equity funds, and represented CDC on the boards or advisory committees of 20 funds. 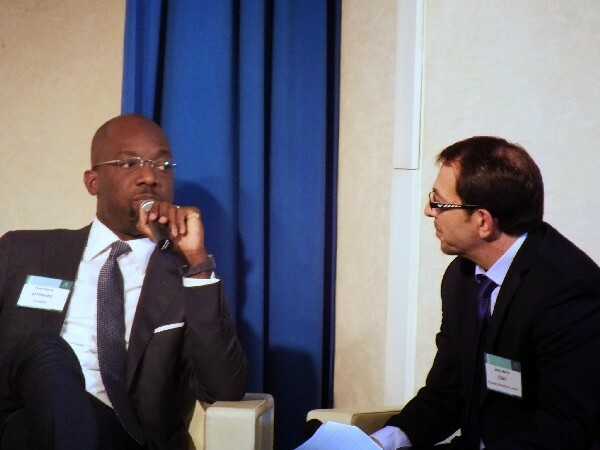 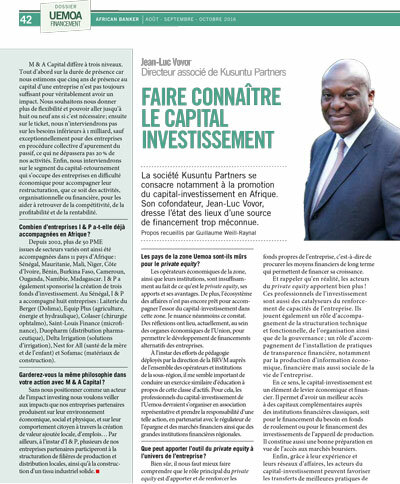 Jean-Marc serves on the Investment Committee of FISEA, a €250m Africa focused fund managed by PROPARCO (Agence Française de Développement Group). 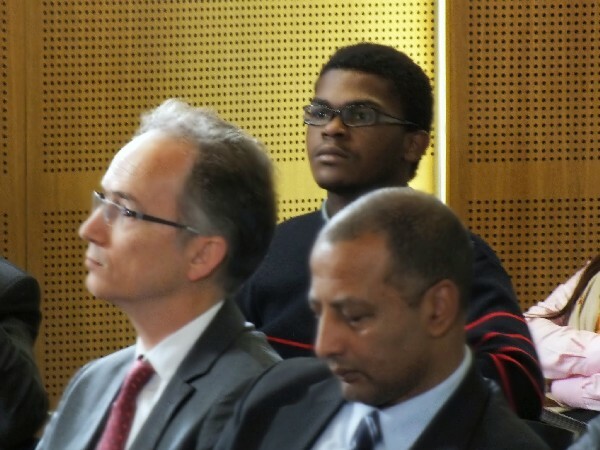 He holds a M.Sc. 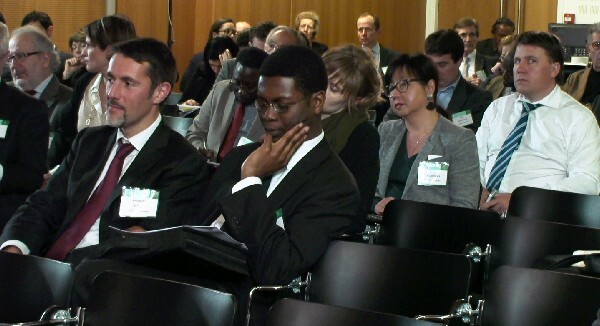 in Finance from Université Lumière Lyon 2 (France). 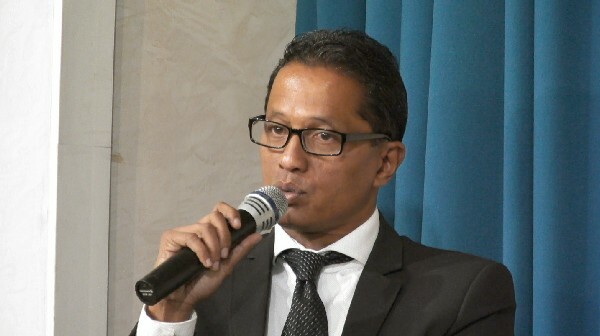 Zin Bekkali is the founder and Managing Partner of SILK INVEST, one of the leading frontier markets managers with staff from over 10 different frontier markets and based in 7 different offices. 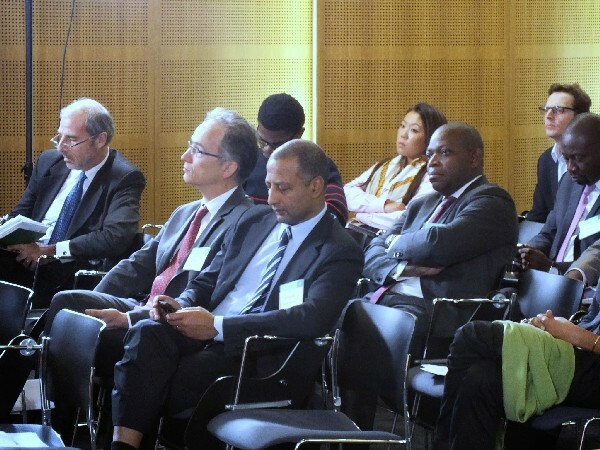 Zin has extensive experience the investment management industry mainly focusing on emerging markets. 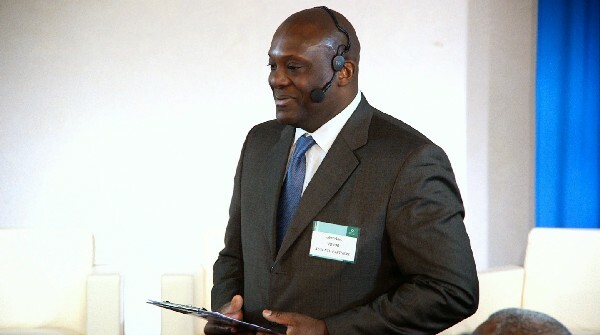 Throughout his career he has successfully entered new markets and managed strategic initiatives. 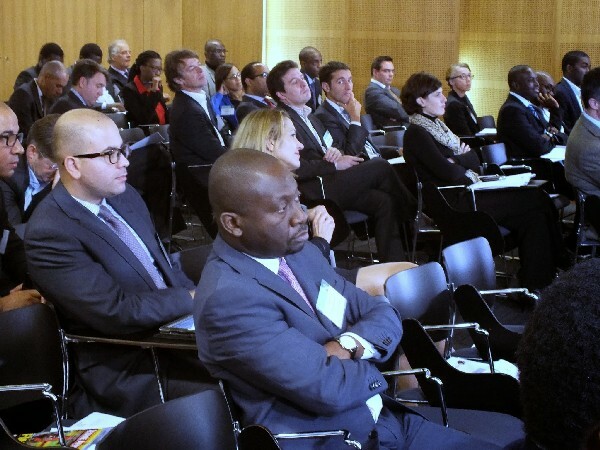 Africa has been quoted for a decade as the last economic frontier of the world. 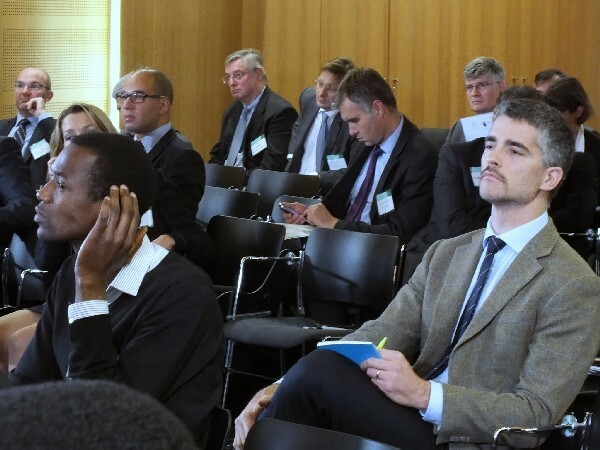 With about a billion inhabitants of which many studies and researches indicated there are close to 300 million people with a purchasing power that ranks them, according to the local cost of living, into the middle class category. 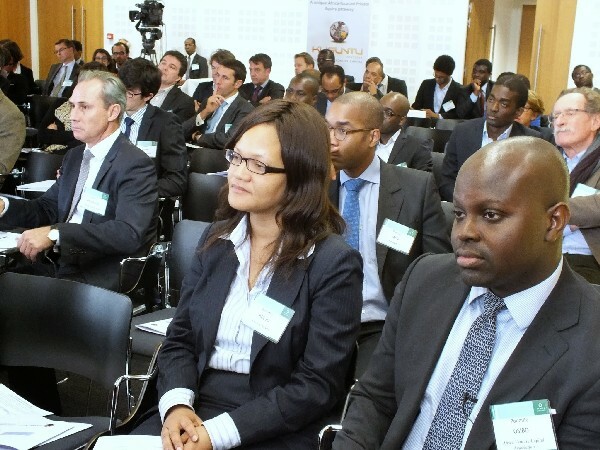 Africa as such presents a real opportunity for companies worldwide to do business contributing to sustain the global growth while taking out the continent from underdevelopment according to the western definition. 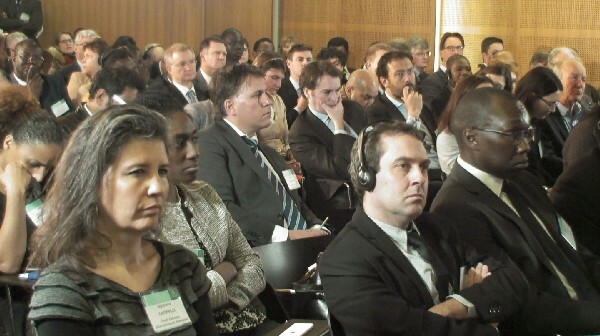 And this has to be done with consideration of the goods and the bads experienced by the developed countries. 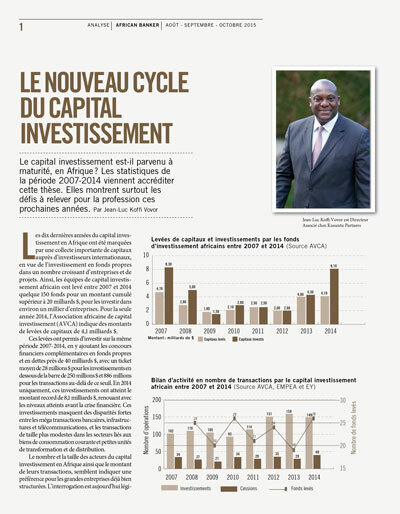 Impact and sustainability through investments must in essence become prominent with a view to allowing an inclusive development of the continent. 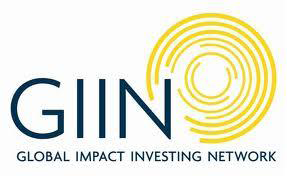 According to the Global Impact Investment Network, Impact investing is defined as investments with the intention to generate positive social, economic or environmental impacts beyond financial return. 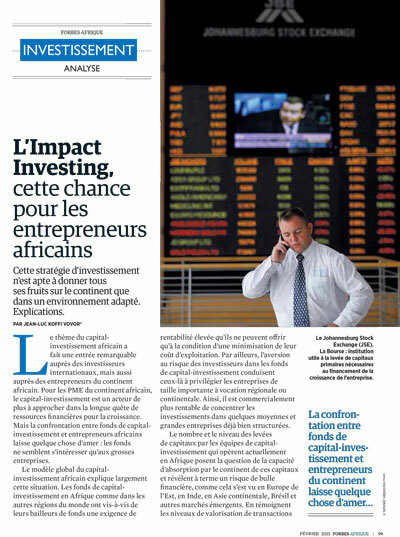 Impact investments can target a range of returns from below market to market rate, depending upon the circumstances. 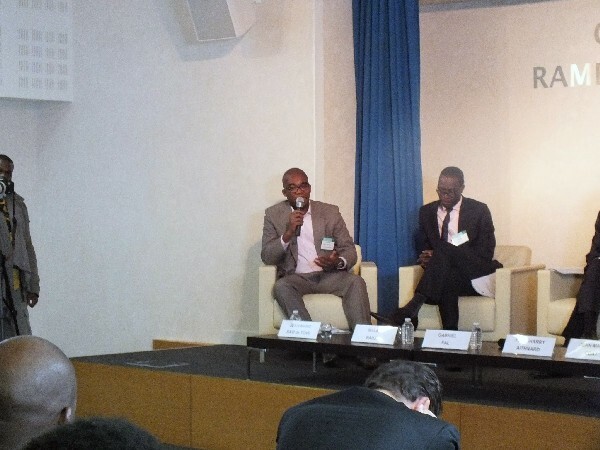 In the current process undertaken to define a new asset class on the rise, it becomes paramount to clarify, especially when it comes to companies financing in Africa, what Impact Investing is, being impact as a consequence or impact seeking as the first motivation. 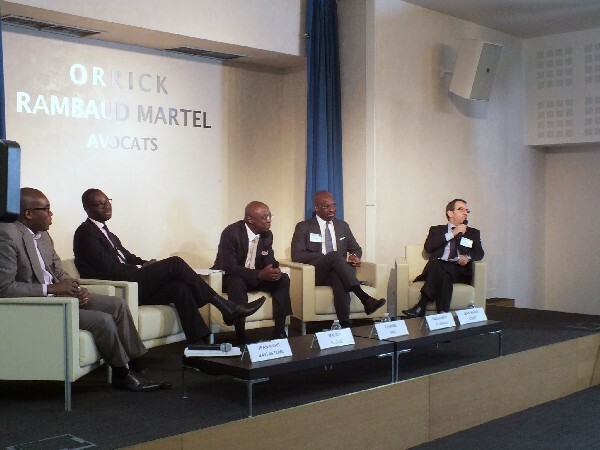 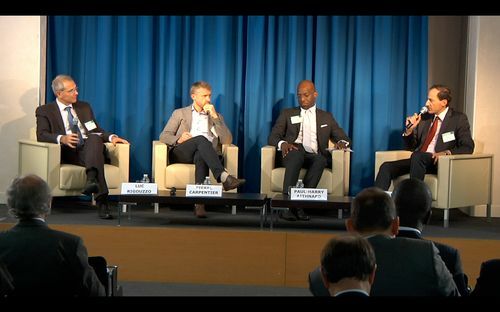 The Africa Finance Conference launched in 2012 by Orrick Rambaud Martel and Kusuntu-le-Club in its third edition brings together a vast array of economic actors engaged in Africa for its economic development. 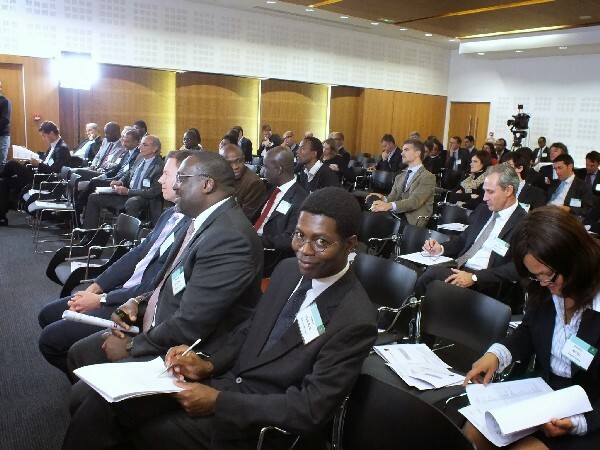 Following an introduction to the African Asset class in 2012 and the review of options so far between private capital investment and investment through organized exchanges, this third conference will focus on positive impacts beyond the financial return. 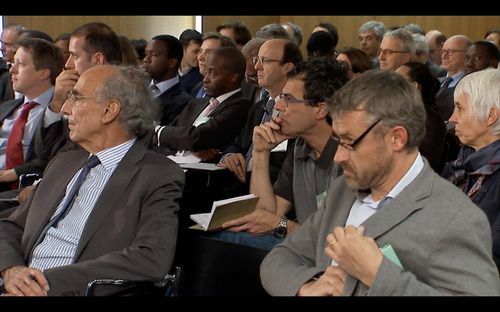 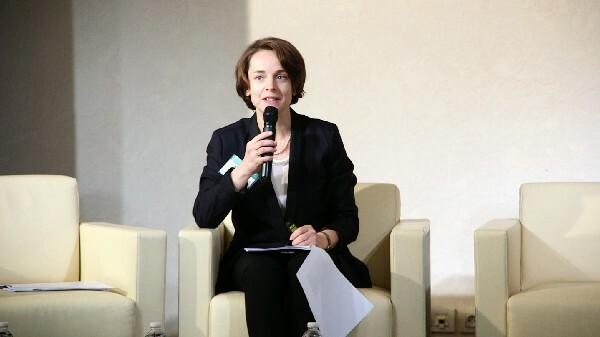 This conference, organized over a day, is the premier professional meeting place in France between professional investors worldwide and those that are making the economic construction in Africa, entrepreneurs, companies, venture and private capital firms that are backing them as well as finance and development institutions as well as investment promotion agencies supporting this process. 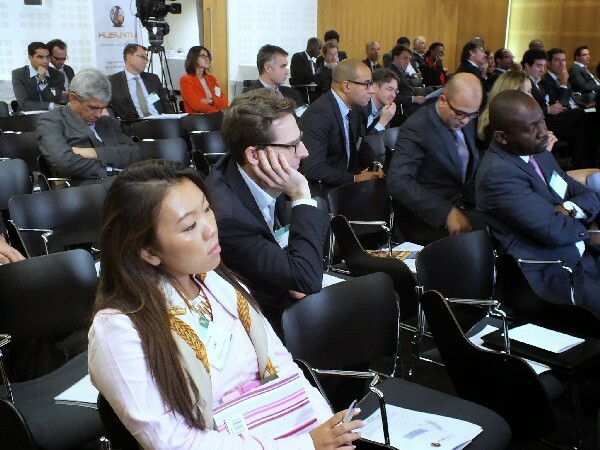 As a forum, African economic actors, professional investors and companies worldwide have a unique opportunity to network for business and investment opportunities, through independent one on one or organized meetings alongside key notes presentation and plenary panels’ discussion. 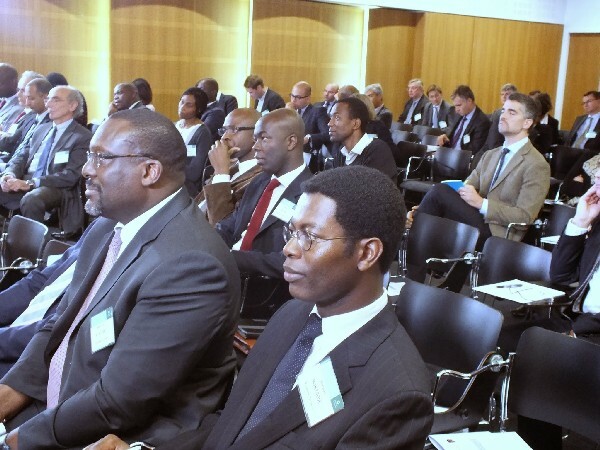 The event addresses issues pertaining to investment opportunities in Africa from the philanthropic point up to more financial oriented ones. 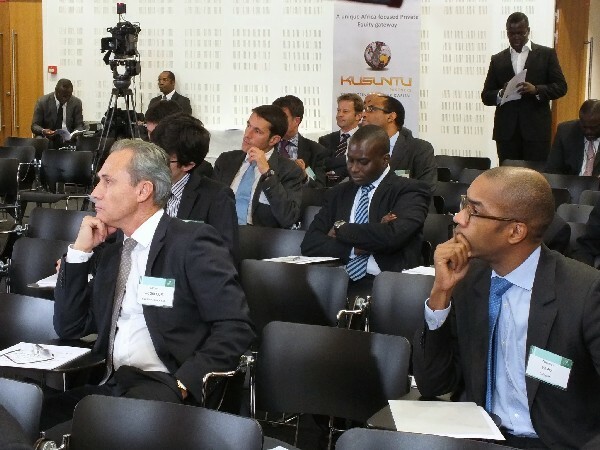 You are responsible for strategic and investment decisions within insurance companies, mutual funds and investment houses, family offices, private banks or corporations larger or smaller and you are interested to know more about your African business development opportunities, you are invited to attend the third Kusuntu Africa Finance Conference in Paris and meet those actors, entrepreneurs, private equity firms, development finance and investment promotion agencies that are building the economic and social development of the African continent. 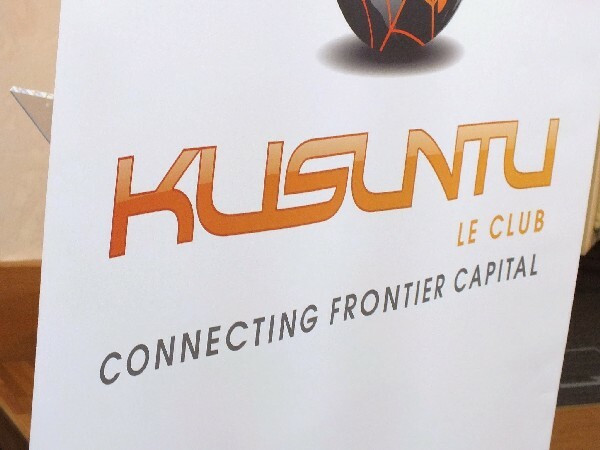 KUSUNTU-LE-CLUB is THINK TANK created by executives and managers for promoting the emergence and the development of African economic champions thanks to private equity investments. 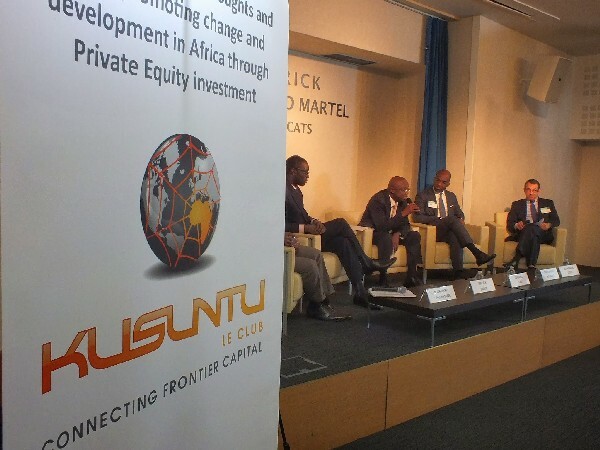 Founding members of KUSUNTU are at the origin of the creation of the first electronic information platform on African private equity, notably a directory of actors (GP's, LP's, Funds, who'swho). 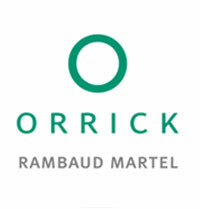 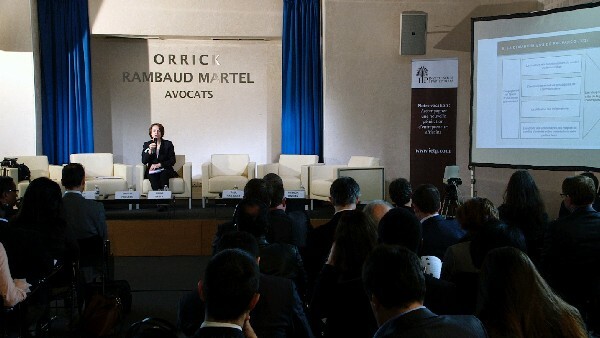 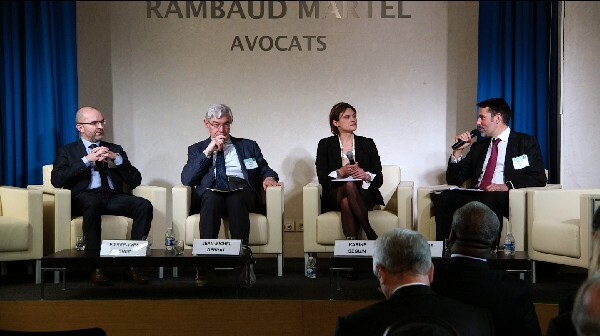 ORRICK RAMBAUD MARTEL is a specialized law firm that offers in France and abroad an exceptional platform of services in cross border operations such as mergers and acquisition, structured finance, leasing asset finance, corporate, tax and social laws. 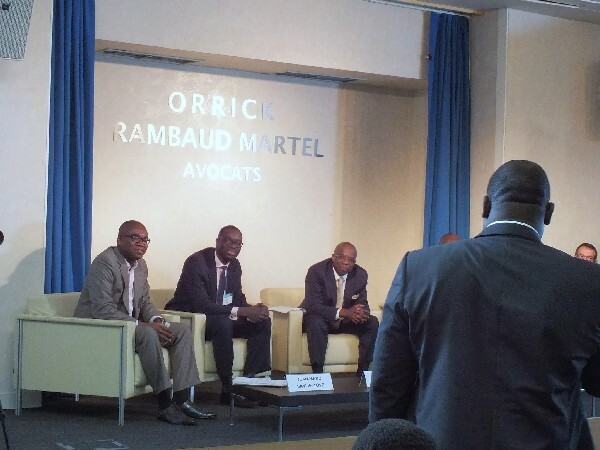 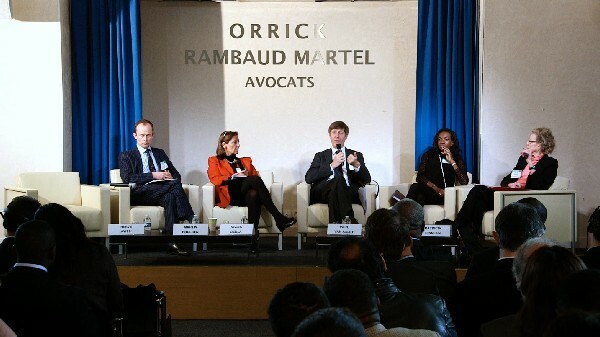 ORRICK RAMBAUD MARTEL’s lawyers also have strong skills and expertise in dispute resolution including international arbitration. 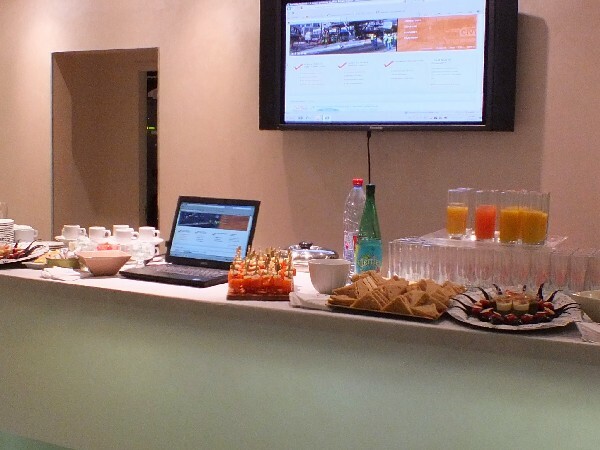 Lunch cocktail is served in "Le Foyer"
The second part is reserved for professional meetings. 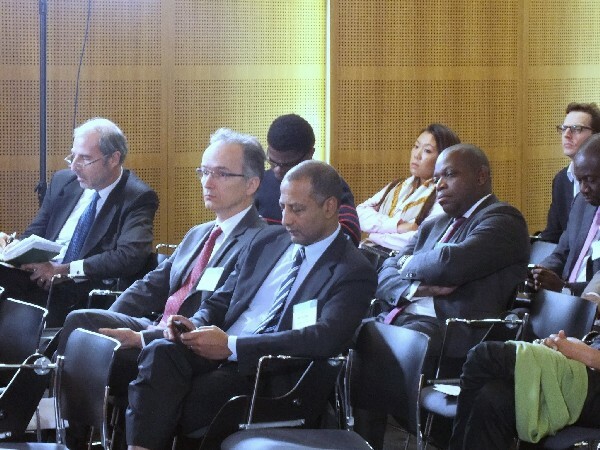 Participants to second part are all business and finance professional. 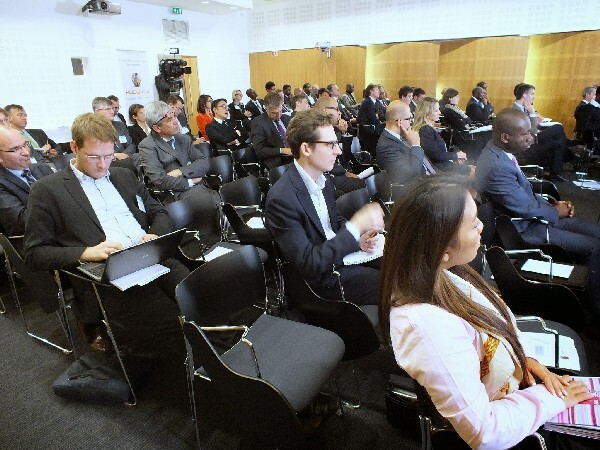 Attendance is submitted to prior registration on the Kusuntu Meeting Registration platform. 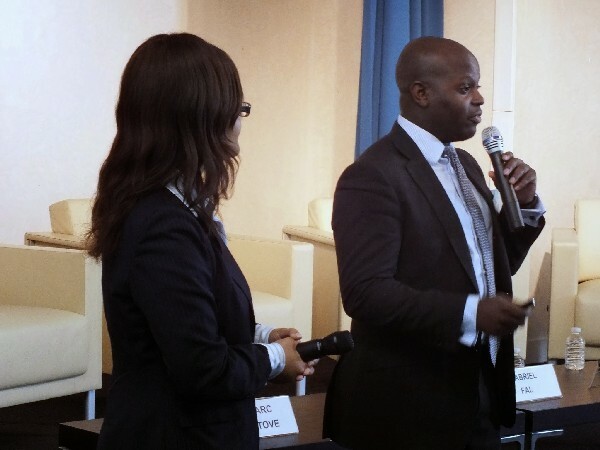 This training is open only to fund principals and delivers significant value for the price, as it has been subsidized in order to be affordable for small funds. 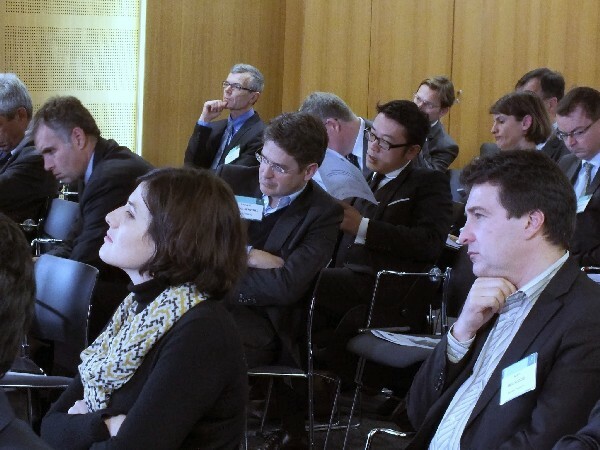 Through data and case studies from across the market, this training will give fund managers the insight, resources, and support to effectively design and market a fund that is appealing to today’s impact investment LPs. 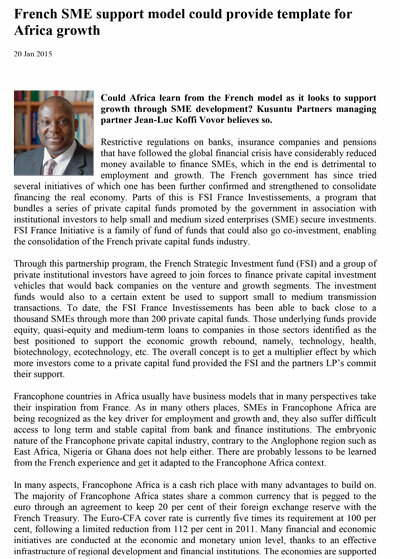 The venue is supported by Group La Française, a Paris based Asset Management Company. 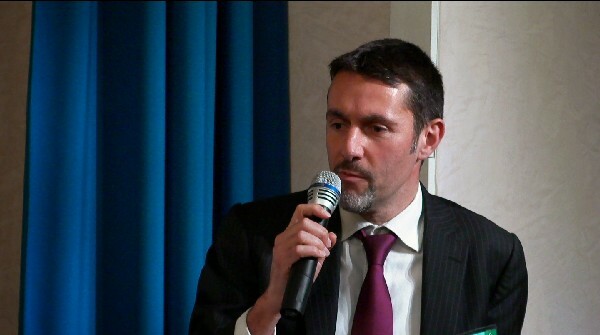 The training is scheduled to start at 8:30 and will end at 16:00. 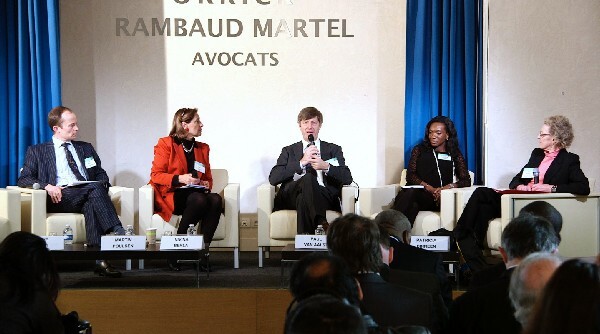 A lunch is organized from 12:30 to 13:30. 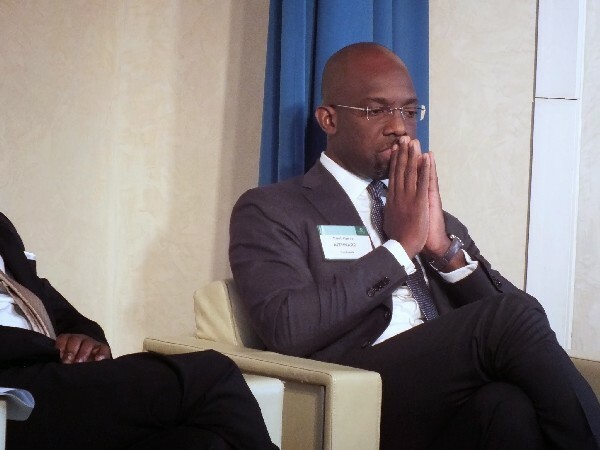 Examples of what today's leading investors are working on and thinking about. 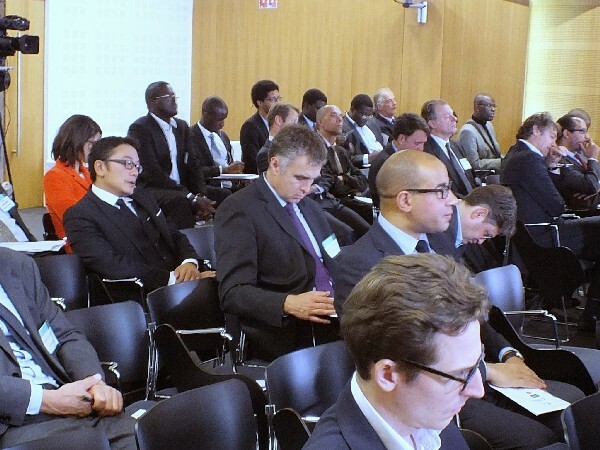 Participation will be limited to funds intentionally creating social impact through their investments.